Each day is ticketed with Daily Tickets providing access to both sessions each day. Daily tickets are just $20 for Adults, $10 for Concession / Children 12-17, with Children Under 12 free. Family daily tickets (2 x Adult & 2 x Children) are $50. Series Passes at the velodrome box office on day 1): Adult - $60; Concession - $30; Children - $15. The chase towards Commonwealth Games glory will heat up for Australia’s track stars this February at the 2018 Cycling Australia Track National Championships in Brisbane. 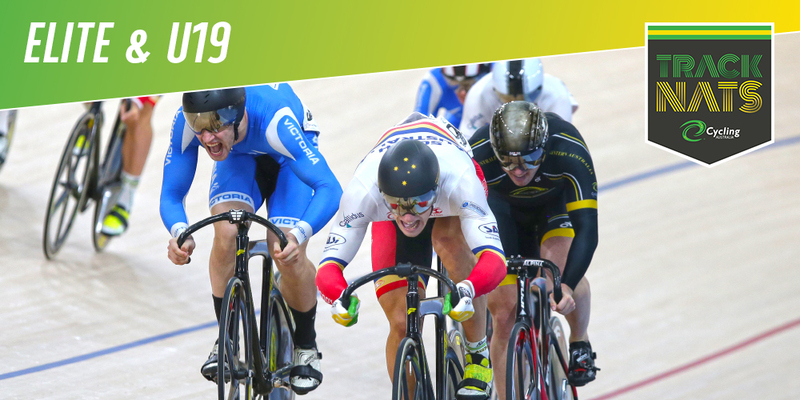 From February 1-4 at the Anna Meares Velodrome, the official 2018 Gold Coast Commonwealth Games venue, Australia’s best will battle each other for 34 national titles in the sprints, keirin, pursuits, points, Madison and more. Reigning Commonwealth champions Matthew Glaetzer (SA), Steph Morton (SA) and Annette Edmondson (SA) plus world champions Kaarle McCulloch (NSW), Sam Welsford (WA), Amy Cure (TAS), Rebecca Wiasak (ACT) and Alex Porter (SA) will all be hunting the coveted green and gold jersey. There are two action-packed sessions per day, with the second session featuring most of the thrilling action of the finals. All sessions are ticketed, with a daily General Admission ticket giving you access to both sessions! Note to access the earlier morning/day session, you need to purchase a ticket to the evening. The ticket gives you access to the entire day. 2018 TrackNats action gets underway with ten champions crowned on the opening day. The men’s time trial will be the first green and gold jersey awarded for the week following by an evening of team events including the team pursuit and team sprint. Seven national champions will be crowned on day two beginning with the women’s time trial in the afternoon. The opening rounds of the sprint competition for both men and women will get the crowd roaring, while the purity of the individual pursuit will be on display with four finals on the program. The penultimate day of competition will see eight finals across two sessions with the final rounds of the sprint set to explode! The women's points race and men's scratch will also be finals not to be missed! The championships will conclude with nine finals, with the fast and the furious of the keirin set to set the track alight. The women's scratch race, under 19 Madison and men's points race will ensure all fans will be glued to their to seats right until the end! Daily Tickets will also be available at the gate. Purchase Series Passes at the velodrome box office on day 1): Adult - $60; Concession - $30; Children - $15.